Magneta provides a pretty graspable way to get started with an field of research that can get a bit murky. By giving you easy access to machine learning models for musical patterns, you can generate and modify rhythms and melodies. 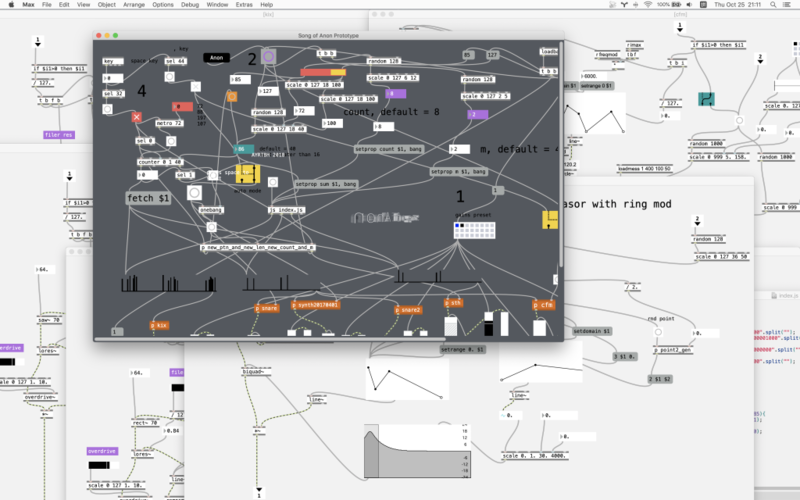 The team at Google AI first showed Magneta Studio at Ableton’s Loop conference in LA in November, but after some vigorous development, it’s a lot more ready for primetime now, both on Mac and Windows. I got to sit down with the developers in LA, and also have been playing with the latest builds of Magenta Studio. But let’s back up and first talk about what this means. Artificial Intelligence – well, apologies, I could have fit the letters “ML” into the headline above but no one would know what I was talking about. Machine learning is a better term. What Magenta and TensorFlow are based on is applying algorithmic analysis to large volumes of data. “TensorFlow” may sound like some kind of stress exercise ball you keep at your desk. But it’s really about creating an engine that can very quickly process lots of tensors – geometric units that can be combined into, for example, artificial neural networks. Seeing the results of this machine learning in action means having a different way of generating and modifying musical information. It takes the stuff you’ve been doing in music software with tools like grids, and lets you use a mathematical model that’s more sophisticated – and that gives you different results you can hear. But even if that particular application didn’t impress you – trying to find new instrument timbres – the note/rhythm-based ideas make this effort worth a new look. Recurrent Neural Networks are a kind of mathematical model that algorithmically loops over and over. We say it’s “learning” in the sense that there are some parallels to very low-level understandings of how neurons work in biology, but this is on a more basic level – running the algorithm repeatedly means that you can predict sequences more and more effectively given a particular data set. Magenta’s “musical” library applies a set of learning principles to musical note data. That means it needs a set of data to “train” on – and part of the results you get are based on that training set. Build a model based on a data set of bluegrass melodies, for instance, and you’ll have different outputs from the model than if you started with Gregorian plainchant or Indonesian gamelan. Magenta Studio has a few different tools. Many are based on MusicVAE – a recent research model that looked at how machine learning could be applied to how different melodies relate to one another. Music theorists have looked at melodic and rhythmic transformations for a long time, and very often use mathematical models to make more sophisticated descriptions of how these function. 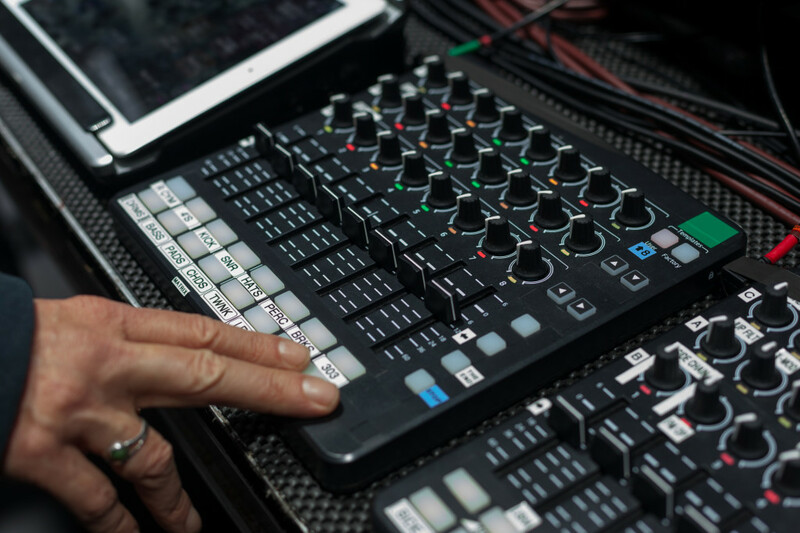 Machine learning lets you work from large sets of data, and then not only make a model, but morph between patterns and even generate new ones – which is why this gets interesting for music software. Crucially, you don’t have to understand or even much care about the math and analysis going on here – expert mathematicians and amateur musicians alike can hear and judge the results. If you want to read a summary of that MusicVAE research, you can. But it’s a lot better to dive in and see what the results are like first. And now instead of just watching a YouTube demo video or song snippet example, you can play with the tools interactively. 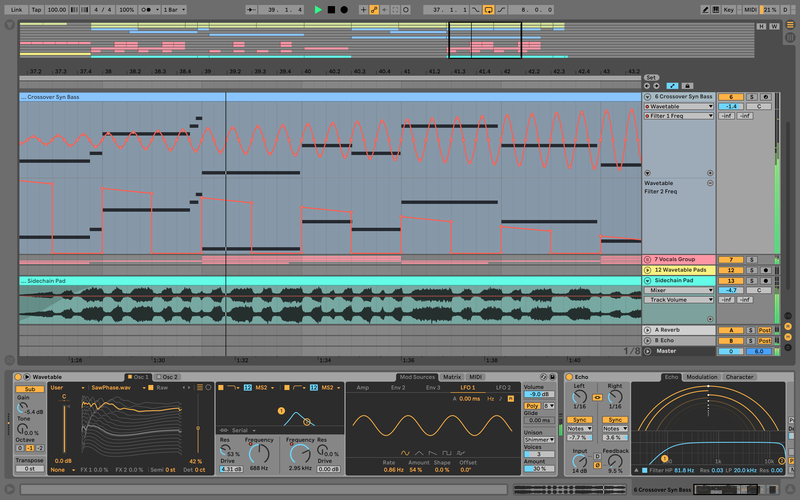 Magenta Studio lets you work with MIDI data, right in your Ableton Live Session View. 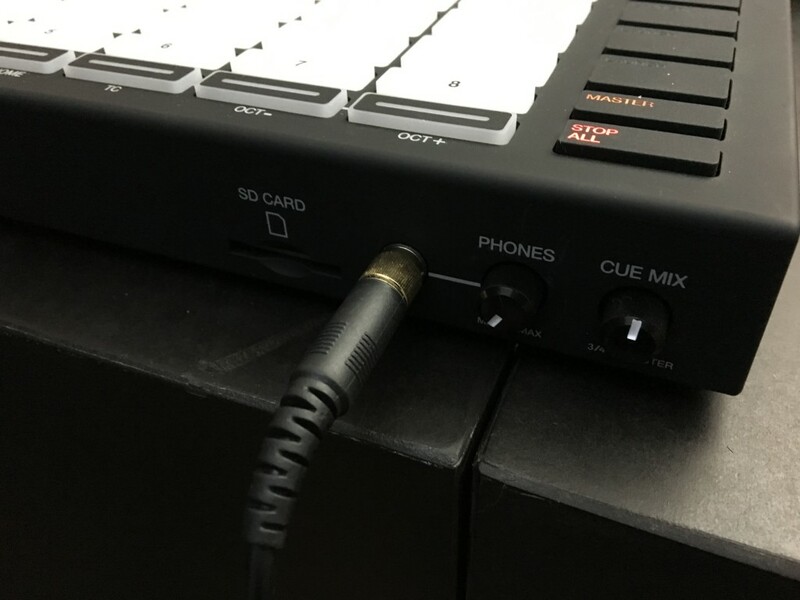 You’ll make new clips – sometimes starting from existing clips you input – and the device will spit out the results as MIDI you can use to control instruments and drum racks. There’s also a slide called “Temperature” which determines how the model is sampled mathematically. It’s not quite like adjusting randomness – hence they chose this new name – but it will give you some control over how predictable or unpredictable the results will be (if you also accept that the relationship may not be entirely linear). And you can choose number of variations, and length in bars. Generate: This makes a new melody or rhythm with no input required – it’s the equivalent of rolling the dice (erm, machine learning style, so very much not random) and hearing what you get. Continue: This is actually a bit closer to what Magneta Studio’s research was meant to do – punch in the beginning of a pattern, and it will fill in where it predicts that pattern could go next. It means you can take a single clip and finish it – or generate a bunch of variations/continuations of an idea quickly. Interpolate: Instead of one clip, use two clips and merge/morph between them. 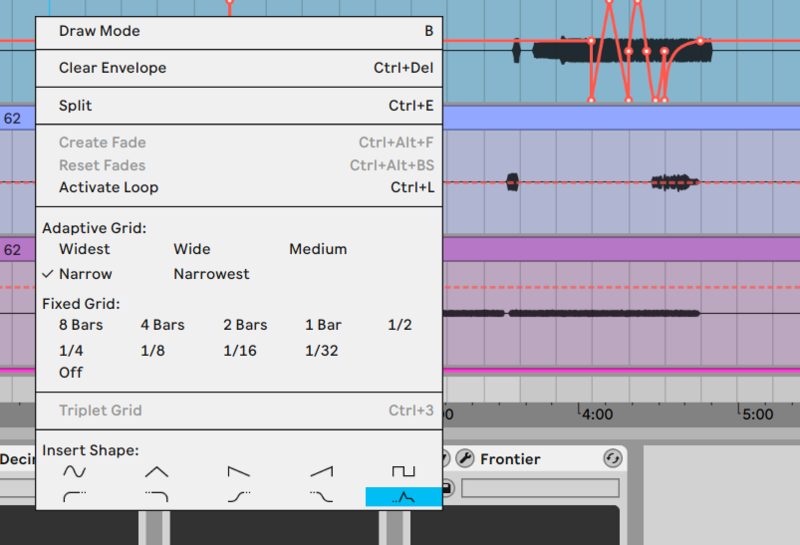 Groove: Adjust timing and velocity to “humanize” a clip to a particular feel. This is possibly the most interesting of the lot, because it’s a bit more focused – and immediately solves a problem that software hasn’t solved terribly well in the past. Since the data set is focused on 15 hours of real drummers, the results here sound more musically specific. And you get a “humanize” that’s (arguably) closer to what your ears would expect to hear than the crude percentage-based templates of the past. And yes, it makes quantized recordings sound more interesting. 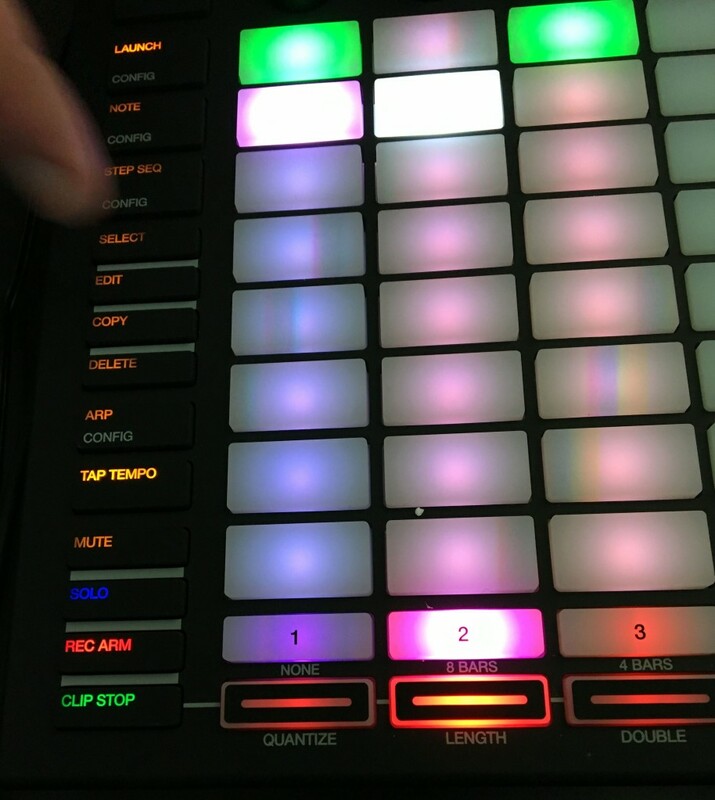 Drumify: Same dataset as Groove, but this creates a new clip based on the groove of the input. It’s … sort of like if Band-in-a-Box rhythms weren’t awful, basically. (Apologies to the developers of Band-in-a-Box.) So it works well for percussion that ‘accompanies’ an input. It may seem un-human or un-musical to use any kind of machine learning in software. But from the moment you pick up an instrument, or read notation, you’re working with a model of music. And that model will impact how you play and think. More to the point with something like Magenta is, do you really get musically useful results? Groove to me is really interesting. It effectively means you can make less rigid groove quantization, because instead of some fixed variations applied to a grid, you get a much more sophisticated model that adapts based on input. And with different training sets, you could get different grooves. Drumify is also compelling for the same reason. Generate is also fun, though even in the case of Continue, the issue is that these tools don’t particularly solve a problem so much as they do give you a fun way of thwarting your own intentions. That is, much like using the I Ching (see John Cage, others) or a randomize function (see… all of us, with a plug-in or two), you can break out of your usual habits and create some surprise even if you’re alone in a studio or some other work environment. One simple issue here is that a model of a sequence is not a complete model of music. Even monophonic music can deal with weight, expression, timbre. Yes, theoretically you can apply each of those elements as new dimensions and feed them into machine learning models, but – let’s take chant music, for example. Composers were working with less quantifiable elements as they worked, too, like the meaning and sound of the text, positions in the liturgy, multi-layered quotes and references to other compositions. And that’s the simplest case – music from punk to techno to piano sonatas will challenge these models in Magenta. I bring this up not because I want to dismiss the Magenta project – on the contrary, if you’re aware of these things, having a musical game like this is even more fun. The moment you begin using Magenta Studio, you’re already extending some of the statistical prowess of the machine learning engine with your own human input. You’re choosing which results you like. You’re adding instrumentation. You’re adjusting the Temperature slider using your ear – when in fact there’s often no real mathematical indication of where it “should” be set. And that means that hackers digging into these models could also produce new results. People are still finding new applications for quantize functions, which haven’t changed since the 1980s. With tools like Magenta, we get a whole new slew of mathematical techniques to apply to music. Changing a dataset or making minor modifications to these plug-ins could yield very different results. And for that matter, even if you play with Magenta Studio for a weekend, then get bored and return to practicing your own music, even that’s a benefit. 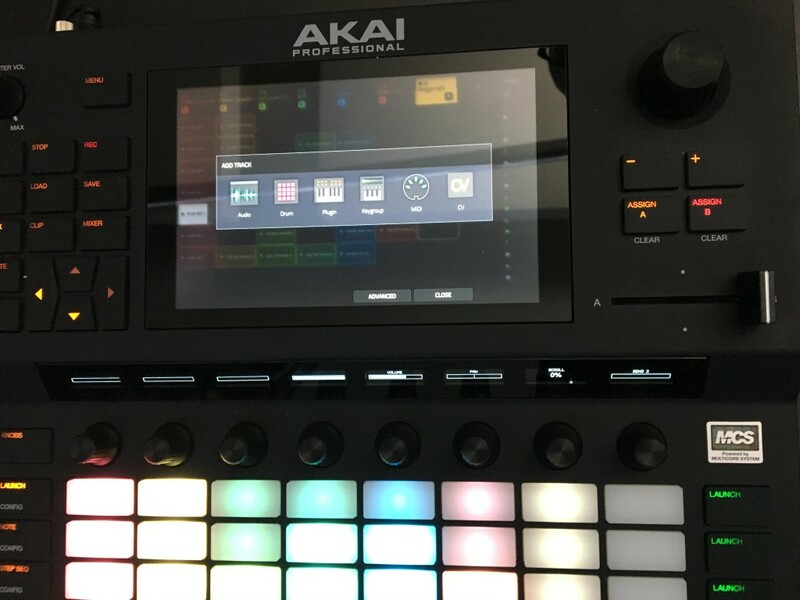 The post Magenta Studio lets you use AI tools for inspiration in Ableton Live appeared first on CDM Create Digital Music. The timing is perfect: Monsters Exist was a 2018 production highlight. Now we get to hear how all that studio complexity translates to live jamming: -Ed. Photos: Matthew Bergman for CDM. As soon as the two men wearing glasses with headlights on the side come on stage, there’s no question that you’re at an Orbital concert. 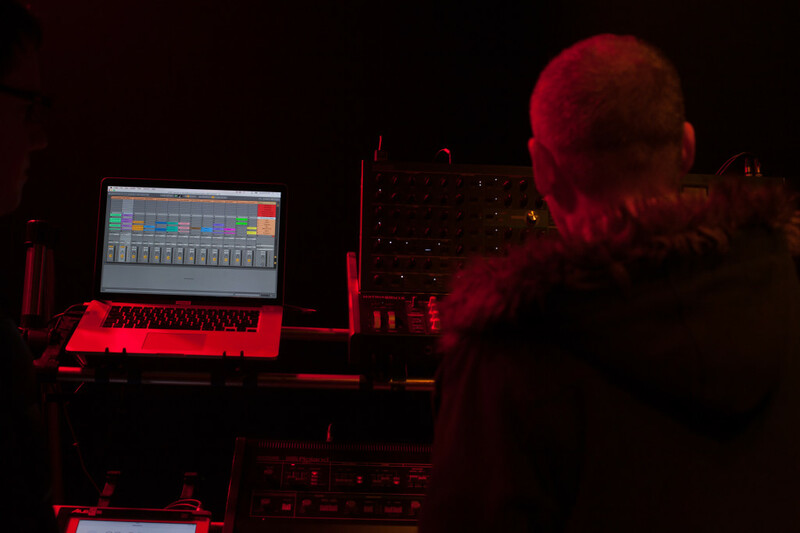 Even before brothers Paul and Phil Hartnoll take the stage, however, they’re preceded by another tell-tale sign: a live set up featuring copious hard- and software at their fingertips. 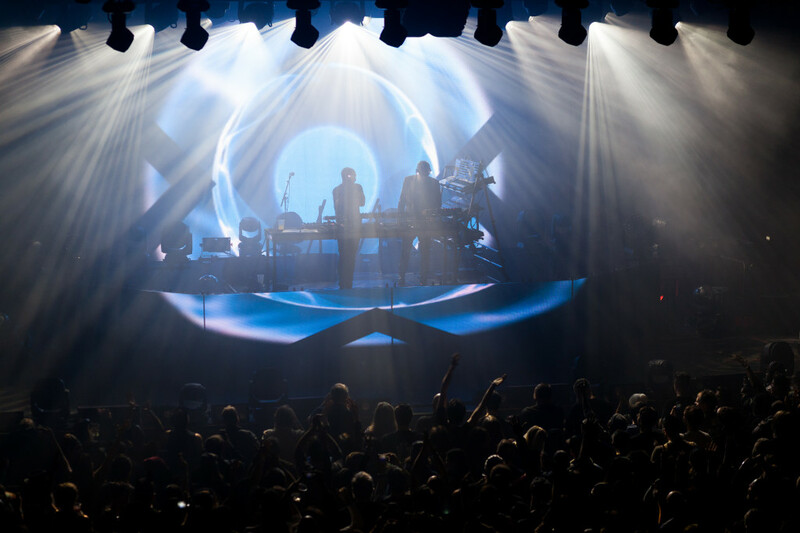 For decades, the Hartnolls have made a name for themselves defying expectations for live electronic performance – bringing a sizable chunk of their studio on tour and deftly weaving through live sets that allow them the flexibility to jam. 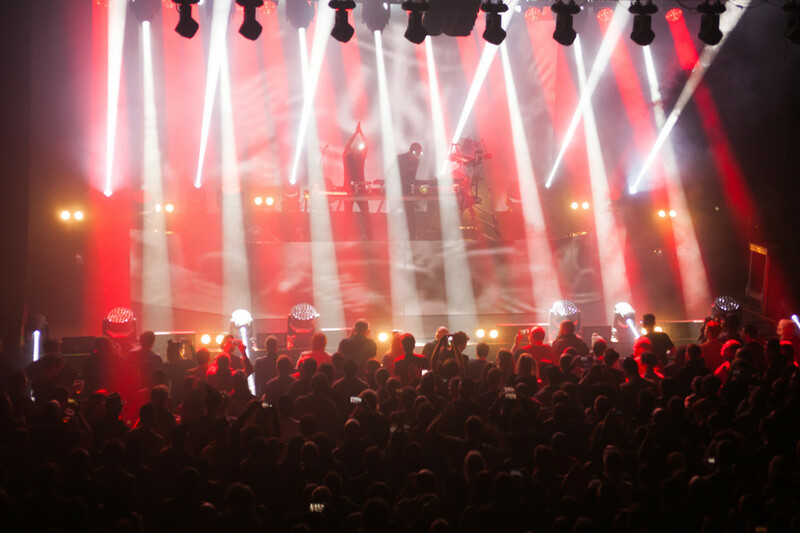 It’s only fitting that Orbital have started releasing regular recordings of their live shows since their 2017 reunion. 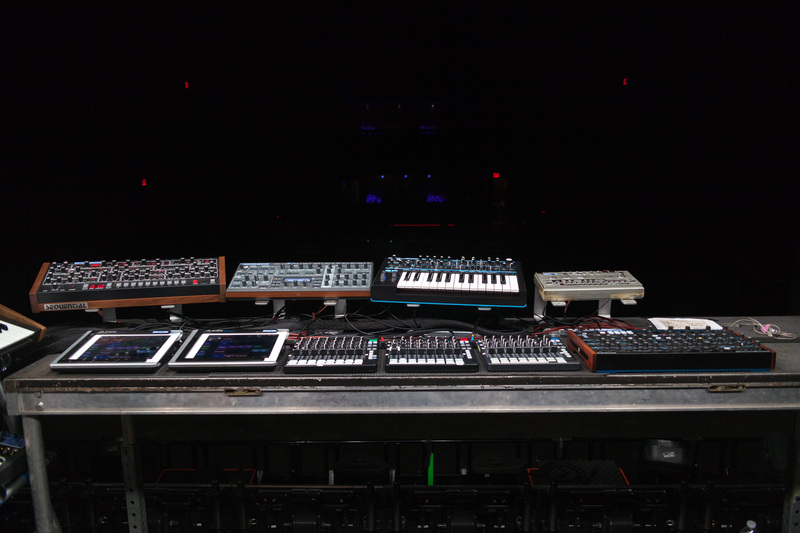 I caught up with Orbital’s Paul Hartnoll for a walkthrough of their stage setup before a recent show at Brooklyn Steel. It was the group’s first set of American dates in six years (accounting for a lengthy hiatus during which the brothers weren’t in communication), and, despite jetlag, spirits were high. 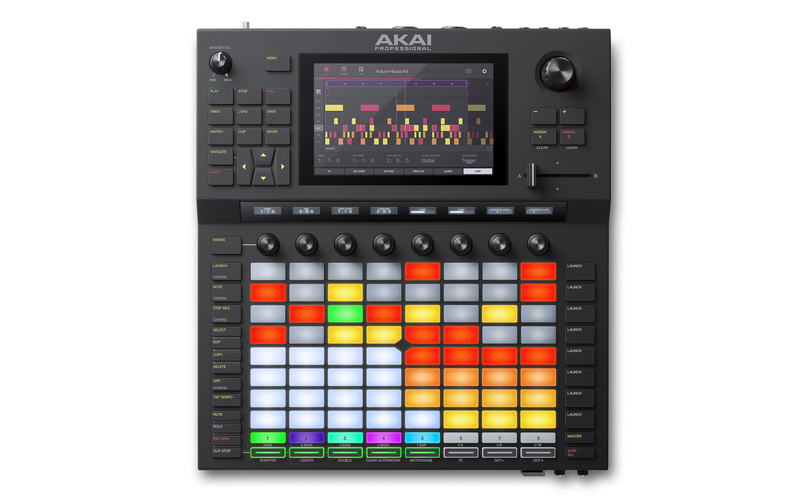 CDM: Between the Wonky tour and this one, you’ve switched from using Liine Griid on your iPads (now discontinued) and using the original [JazzMutant] Lemur hardware. What are you using now? 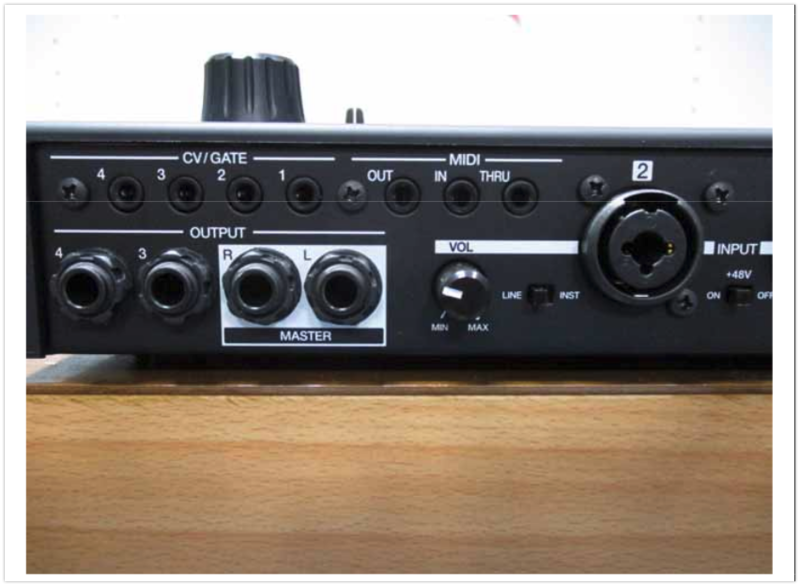 Paul: The original replacement for the Alesis MMT-8 [sequencer] was the old-fashioned Lemurs, which – this is better. The touch screens were a bit iffy on those, it was early technology. Then we went on to Griid on the iPad, and now we’re back to Lemur, but on the iPad. Each track is a Lemur template along the top. The buttons trigger Live – the big buttons are scene changes, and the little buttons are clips. One of the Lemur templates for “Halcyon”, featuring the infamous Belinda Carlisle/Bon Jovi sample triggers. And a little more dynamic than the MMT-8s? Oh yeah. 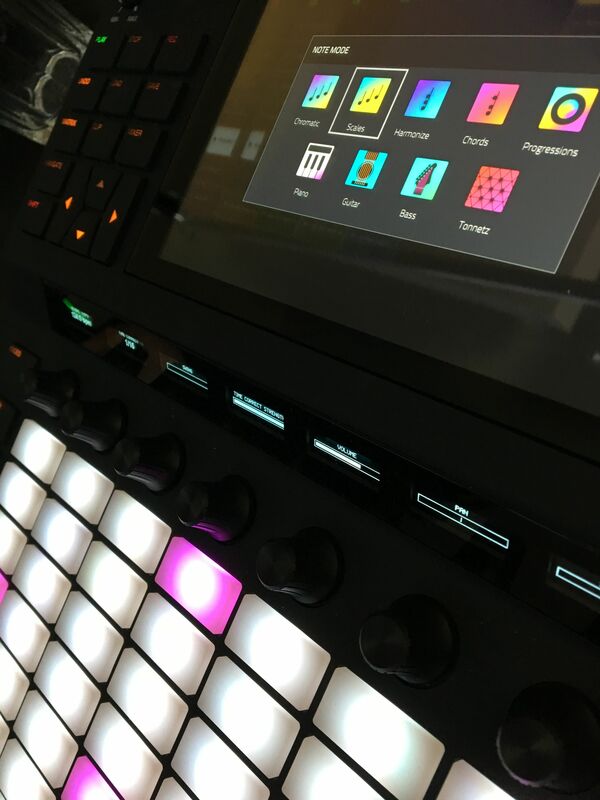 When you look at the Lemur, the big buttons that do the scene changes – that’s like changing a pattern on the MMT-8, but we can also turn things on and off within. 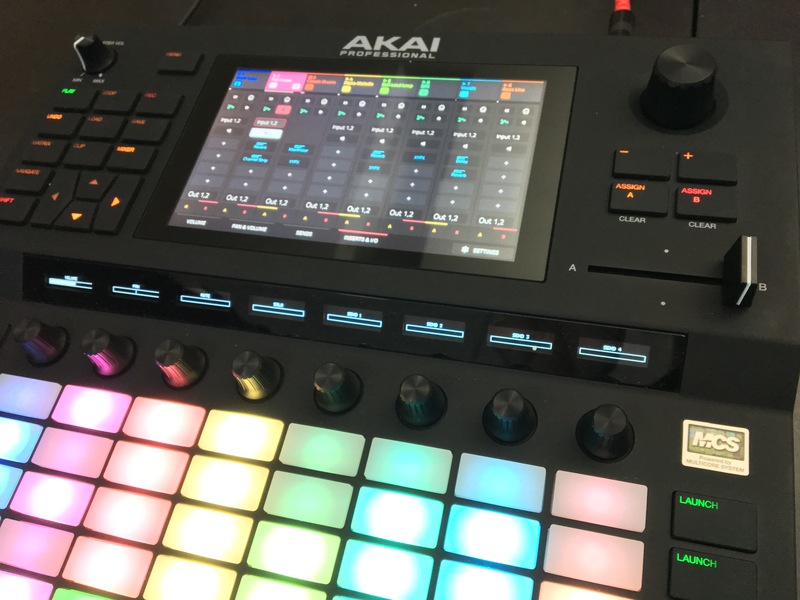 Also, you’ll notice that this [points to three Novation Launch Control XL controllers] pretty much looks like an MMT-8 as well. 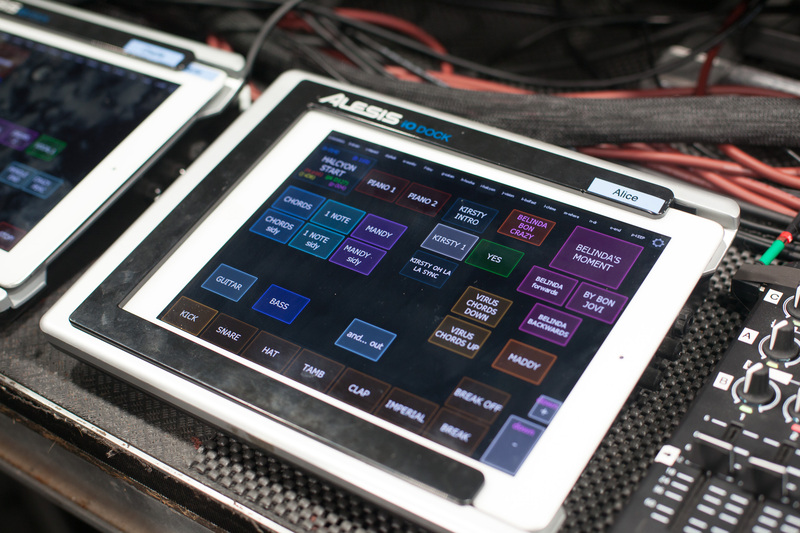 These are our virtual mixing channels, and each song gets threaded through to these channels. It’s a combination of bringing things in and out on the iPads and the Launch Controls. What I can do – depending on different parts of the set and how I’m feeling – is go through and mute [the Launch Controls] and do it old-school MMT-8-style as well. You trigger things on the Lemur and obviously they start where you want them to, whereas on the Launch Controls, if you’ve got something muted, you might lose count and bring it in halfway through a riff. I’ve got the drums broken down here [gestures to Launch Control], to punch them all in and out if I want to, and the “stop all” button which is great. So you’re mixing on stage with the Launch Controls and the Ableton Live set? It’s all coming out of here [points to interface] and going to the front of house. We’ve got control of volume of all the channels, so we can ride things – if we know that something’s coming in, we might want to pump that up a bit. And then that happens over the PA, but if it’s too much, [our front of house mixer] can bring it down. Or he can EQ each channel to suit the room. Obviously, front of house is the best place for the overall EQ for each channel because he’s hearing it through the PA and we’re not. We’ve got control of the mix of the balance of things, but then it’s also a safety thing. If I push the drums too much, and it’s too much in the room, [the mixer] can tweak it. How do you decide which synths come on the road with you internationally? I know you’ve performed with the MacBeth M5, but it’s not in the rig this time around. This tends to replace the MacBeth – the [Arturia] MatrixBrute. It’s kind of angry, like the MacBeth. It’s got more drive stages and things like that than the MacBeth – it’s probably angrier but kind of thinner, but that’s good because it cuts through in the mix live. Whereas the MacBeth is just – it’s fun, bringing something like that, because it hasn’t got any presets so you’ve got to work on the fly, and I love that. The MacBeth kind of forces you to make each sound tailor-made for each gig. But [the MatrixBrute] is good fun live! And of course, so much control – so much fun to be had. [Starts playing the beginning of “Tiny Foldable Cities”] Most of the sounds in this track come from the MatrixBrute. And is that how you did it on the studio version as well? Yeah. [Cycles through sounds]. Obviously I have to sample some of them live. 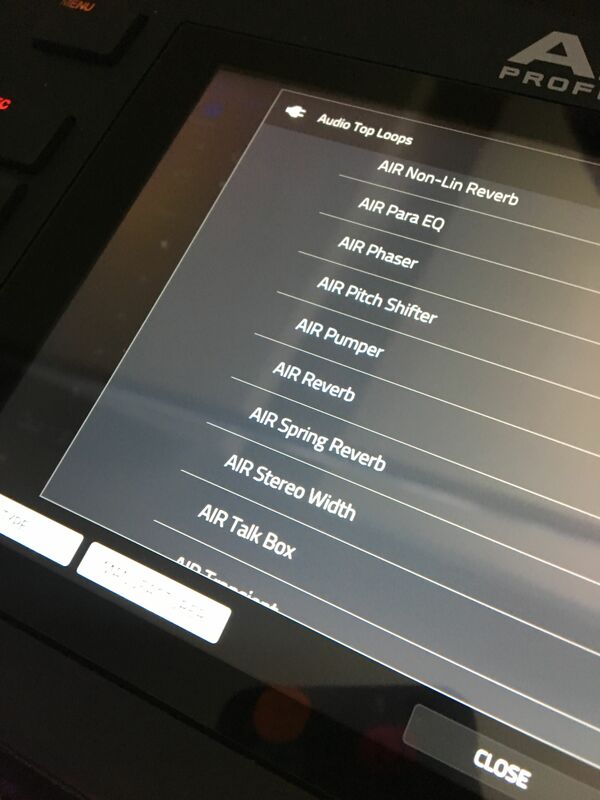 Do you have audio backups of all of your hardware synths in case one of them goes before or during a show? 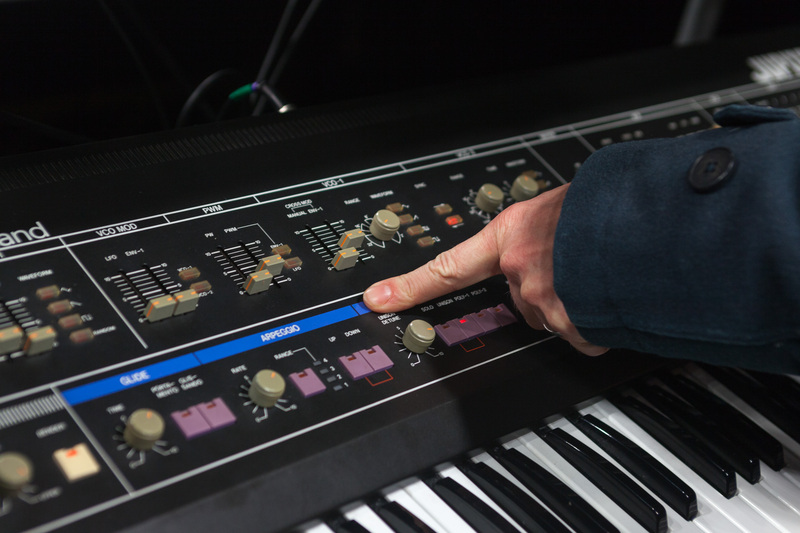 Paul points to the essential crossmod section on Orbital’s Roland Jupiter-6. So are these the more robust synths that you tour with then – like the Jupiter-6? This is actually a new one to us. My old one I bought in ‘92, and it’s kind of died now – it still works but it’s a bit flaky. We bought this [new synth] to replace it, because it’s been live with us since ‘92. Is the Jupiter-6 the best synth in the world? No, but it’s got a lot of character, and a lot of our old songs rely on it. I’ve tried to replace with things, but it doesn’t quite work. Orbital – “Lush 3-1” and “Lush 3-2”, featuring Jupiter-6 on the airy lead sound. What are some of the Jupiter-6 sounds? [Starts playing lead sound from “Lush 3”] That! I can never get that out of anything else. Not like that. Orbital – “Impact” live, with the Jupiter-6 sync/crossmod sound. The other one that I cannot do without is in “Impact” [Starts playing] when you sync it and then crossmod it stays in tune – it would be a terrible noise if you had it synced the other way. I just had my Jupiter-8 modified to sync the right way; Jupiter-8’s sync in the other direction. In this bit it’s kind of like a wavefolder, you know? Crazy sounds that you can’t get anywhere else – very techno-y, kind of clangy. Orbital – “Belfast”, featuring ascending bubbly arpeggios from the Jupiter-6. The last thing is in “Belfast” [starts playing], I always need a Roland synth to get that. That’s three of my big sounds. 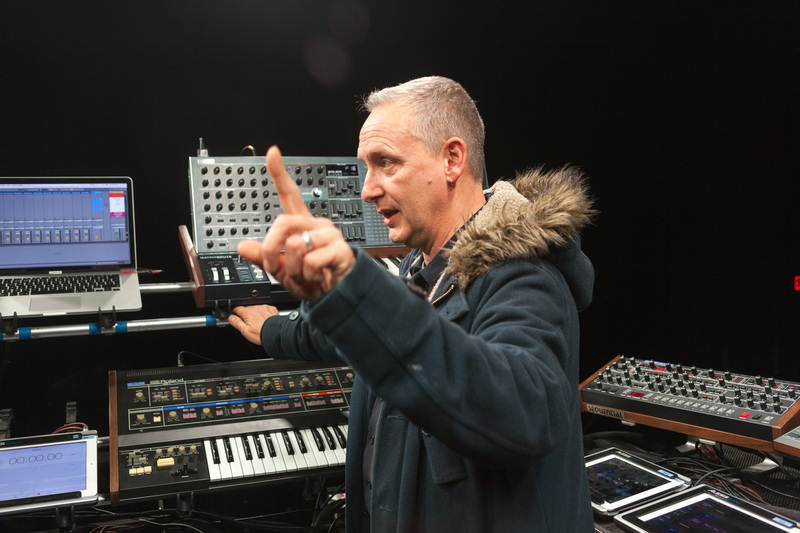 Phil Hartnoll’s notes for tweaks to the Novation Peak. What’s the division of labor like between you and Phil when you’re performing live – do you have defined roles, or are you often reaching over each other? We do have roles – I arrange. I’m in charge of a lot of the synth manipulation around this end [points to left side of the stand]. 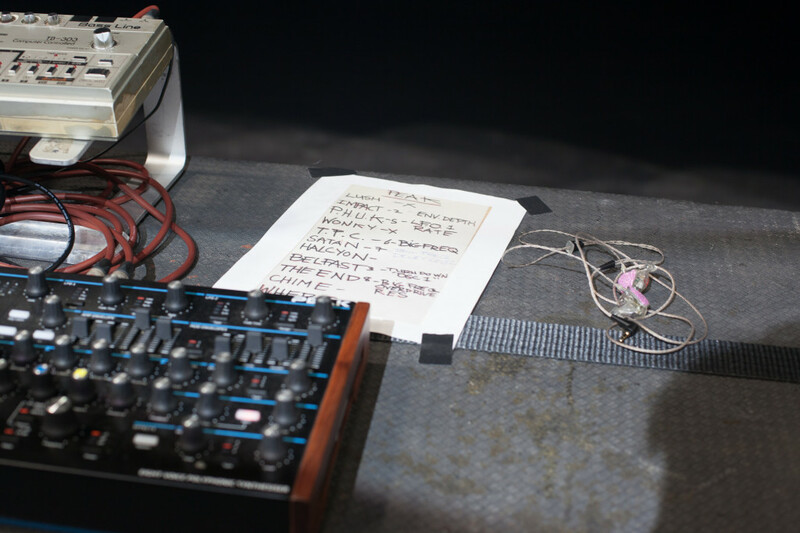 We keep this and this [points to Novation Peak and Roland TB-303] exclusively for Phil, he plays with them. 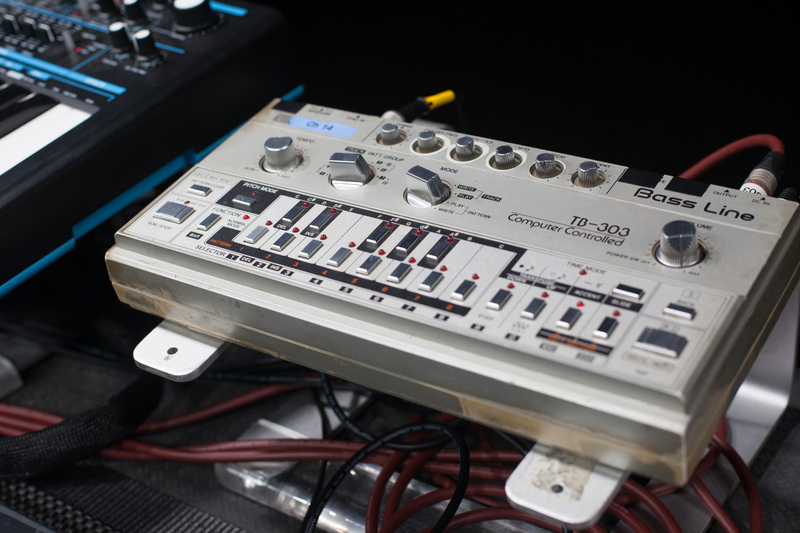 Orbital’s TB-303 – yes, this is the original one from “Chime”. Is that your original 303? Yeah [laughs] can you tell? It’s not even silver any more, it’s brown, it’s like a lot of our gear. Our 909 is held together with love and tape. So Phil does those. I leave him in charge of the drums at this end [points to Launch Control on the right], but I kind of use these here [points to left Launch Control iPads, and synths]. You know this [points to middle Launch Control] is our crossover point. If I’m busy arranging then Phil might lean over and do some more mixing – [the Launch Controls and middle synths] are the grey area between the two of us. 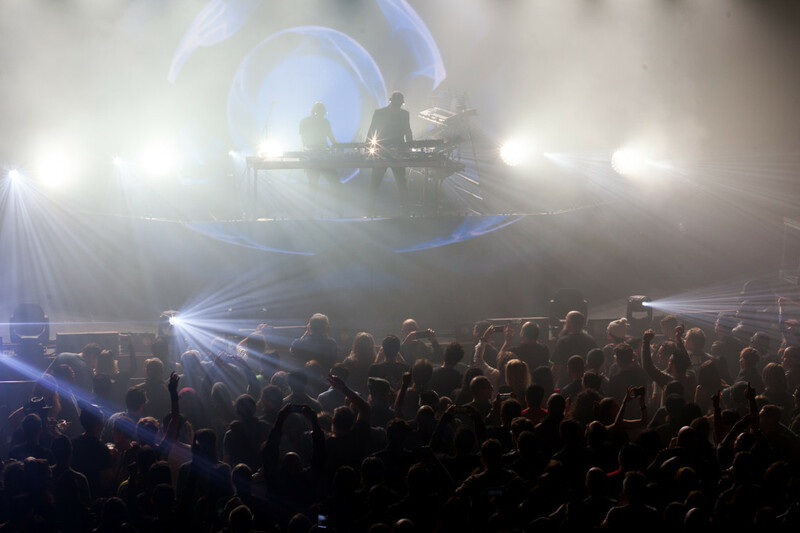 Orbital live, main table, front-facing view – Paul stands to the left, Phil to the right. I would like to start bringing the 909, but it’s just a box too far at the minute. I will do it, it’s the only thing I miss live – we use it a lot in the studio. Instead of using generic 909 samples, I’ve meticulously sampled my own 909. I think they all sound different, 909s – I can spot mine. They say the same thing about 303s – that’s why no one emulator gets it totally right. That’s interesting, because I haven’t noticed that with 303s. We’ve got two and I can’t tell them apart – but maybe they’re from the same batch? With 909s, there’s definitely different batches of them that sound different. I think it’s more like, there’s three different sounds to 909s, and I’ve had two of them in the past. When I sample my 909 – I don’t round robin it, I keep it very simple – but it sounds right, because it’s my 909. So you’re playing the Prophet-6 and the Virus TI a fair amount. It’s weird – it’s a strange old synth, I like it. It tends to thin woolly pads and sharp things quite nicely. I use it in some tracks quite distorted, as well – I really use the distortion on it. It cuts through like a guitar. The horn sounds on “Hoo Hoo Ha Ha” from Monsters Exist, is that a wavetable from the Virus? That’s actually samples from a session we did for the 2squared album with Vince Clarke. I just cut tiny bits of it, and made a new riff with it. [Starts playing “Hoo Hoo Ha Ha”, mixing in parts and effects]. One of the things that I really like is this side chain kind of effect. One of the send effects is a big delay, another is a big reverb. But this [points to knob on Launch Control channels] is a sidechain from the kick, but it isn’t sidechaining any of the instruments, it’s just sidechaining the effects return. What’s playing the “Hoo Hoo Ha Ha” chords? That’s a lot of people, actually, that I recorded coming out of the pub. I got them all to go “uh”, “hah”, “huh”, and then I made a round robin kind of thing and processed it in Kontakt to make it sort of a robotic constant-pitch thing. And then played chords on it. As a musician, you’ve got Orbital, you’ve got your solo albums, you’ve got 8:58, you’ve got soundtracks, and a couple years ago you had the album 2squared with Vince Clarke. Is there a difference in the compositional mindset when you’re working on material for different projects? I’d like to pretend there was but there isn’t. I just go and do my thing, wherever I’m doing it. [Laughs] Yeah! That’s what I said to Vince when we were doing that. He played with these kind of…for want of a genre, “nu disco” kind of things, and he said “what can you do?” I said “I wanna bring some live, sort of wild synth passes” – what I call “stadium house” – to it. You know, that kind of big rave, big chords – with a lead line that’s kind of simple over the top. Paul next to the Ableton Live set (visual trigger clips to the right), Arturia Matrixbrute, and Jupiter-6. How does the live set work visually? [Points to Ableton Live set] There’s some video triggers here. When I hit certain scene changes, it triggers off a run of a certain visual. 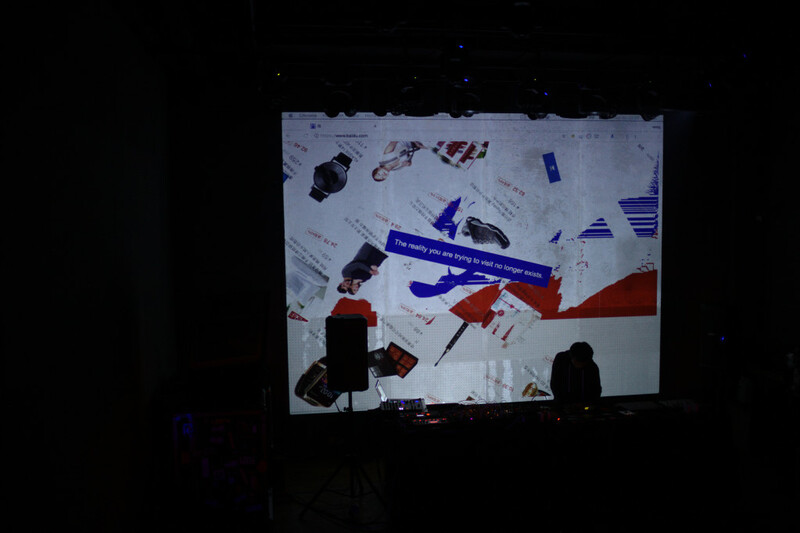 So we can set up things perfectly in time, and [our VJ] doesn’t have to worry about when we’re going to do drop downs. Ultimately, I’m left with the same thought I had when I saw them in 2012 in Berlin, or when watching the DVD of highlights from their 90s/00s Glastonbury sets: Orbital put on an incredible show. 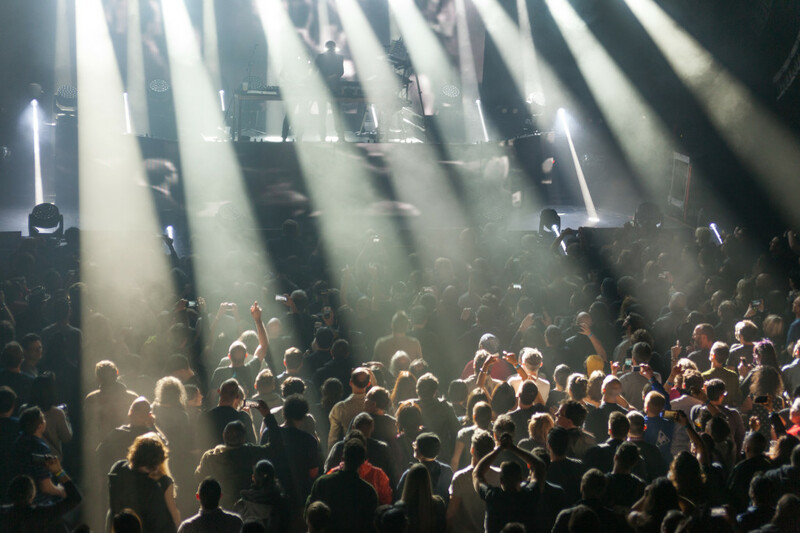 The technology might change – and the visuals are certainly more engaging and impressive than ever – but at the core, it’s the same gorgeous stadium-sized emotional melodies that have kept audiences enthralled for nearly three decades. With the release of the excellent Monsters Exist, Orbital are exiting 2018 on a high note – and 2019 sees 30 years since the release of “Chime”. We’ll certainly be keen to see what happens next! 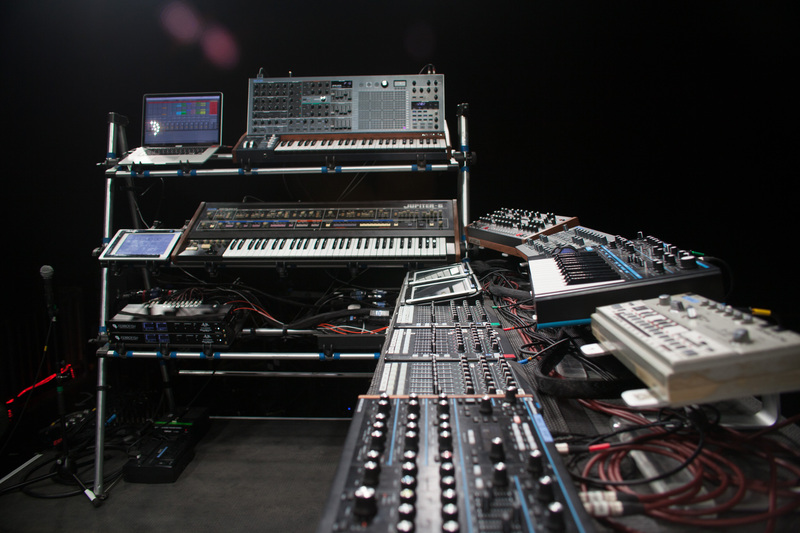 The post Like a studio onstage: Orbital tells us their live rig synth secrets appeared first on CDM Create Digital Music. 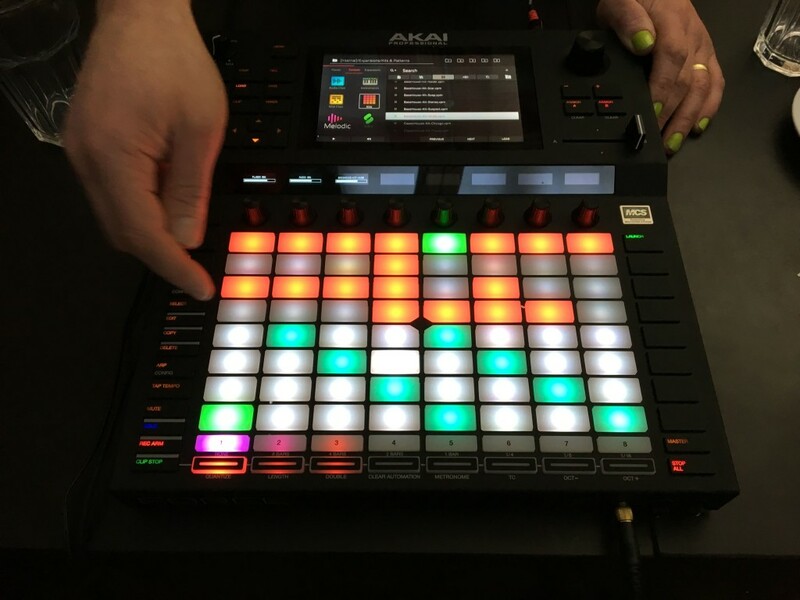 With interfaces that look lifted from a Romulan warbird and esoteric instruments, effects, and sequencers, K-Devices have been spawning surprising outcomes in Ableton Live for some time now. ESQ is the culmination of that: a cure for preset sounds and ideas in a single device. You likely know the problem already: all of the tools in software like Ableton Live that make it easy to quickly generate sounds and patterns also tend to do so in a way that’s … always the same. So instead of being inspiring, you can quickly feel stuck in a rut. 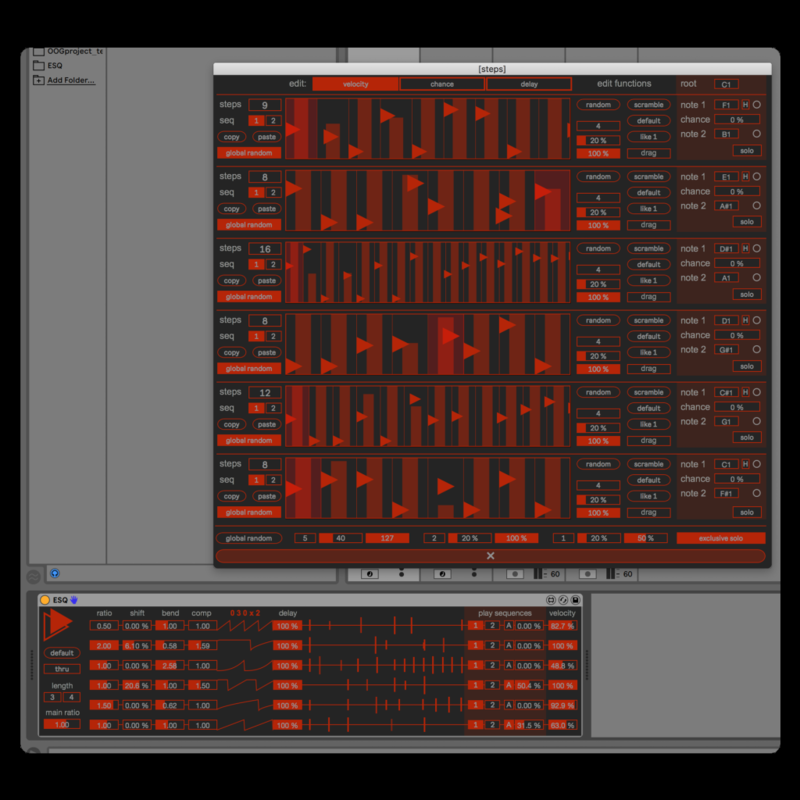 ESQ is a probability-based sequencer with parameters, so you adjust a few controls to generate a wide variety of possibilities – velocity, chance, and relative delay for each step. You can create polyrhythms (multiple tracks of the same length, but different steps), or different-length tracks, you can copy and paste, and there are various random functions to keep things fresh. The results are still somehow yours – maybe even more so – it’s just that you use probability and generative rules to get you to what you want when you aren’t sure how to describe what you want. Or maybe before you knew you wanted it. 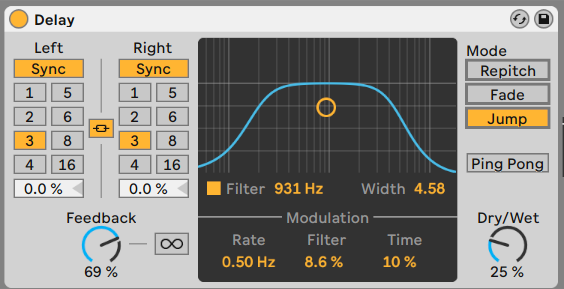 Because you can trigger up to 12 notes, you can use ESQ to turn bland presets into something unexpected (like working with preset Live patches). 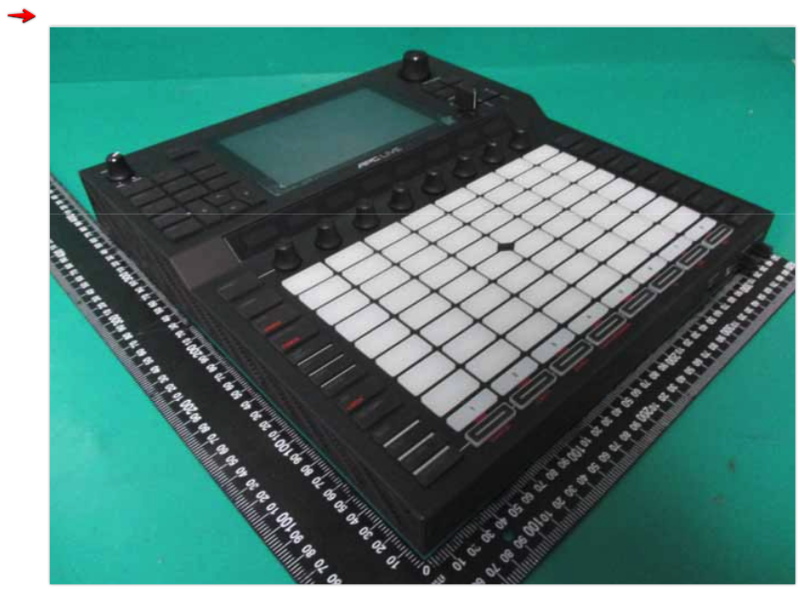 Or you can use it as a sequencer with all those fun modular toys we’ve been talking about lately (VCV Rack, Softube Modular, Cherry Audio Voltage Modular, and so on) – because 5- and 8-step sequencers are often just dull. 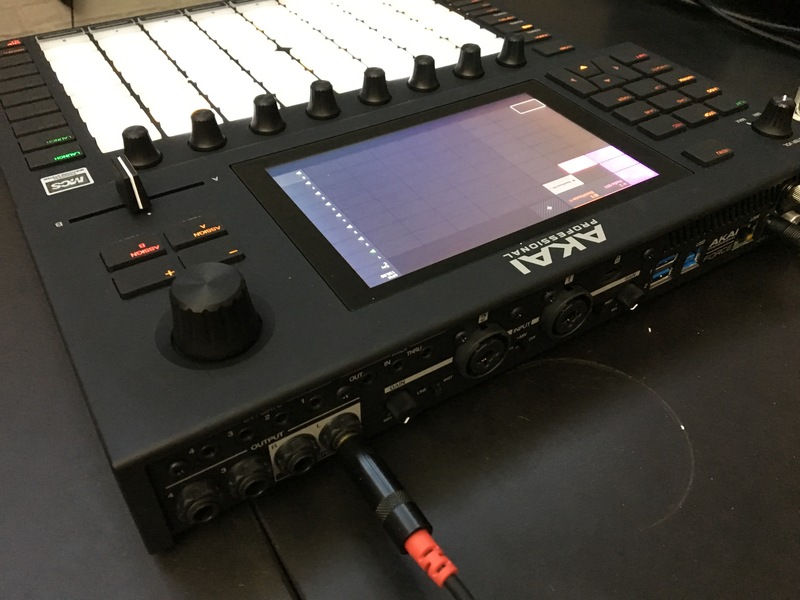 There’s no sound produced by ESQ – it’s just a sequencer – but it can have a big enough impact on devices that this “audio” demo is just one instance of ESQ and one Drum Rack. Even those vanilla kits start to get more interesting. K-Devices has been working this way for a while, but ESQ feels like a breakthrough. 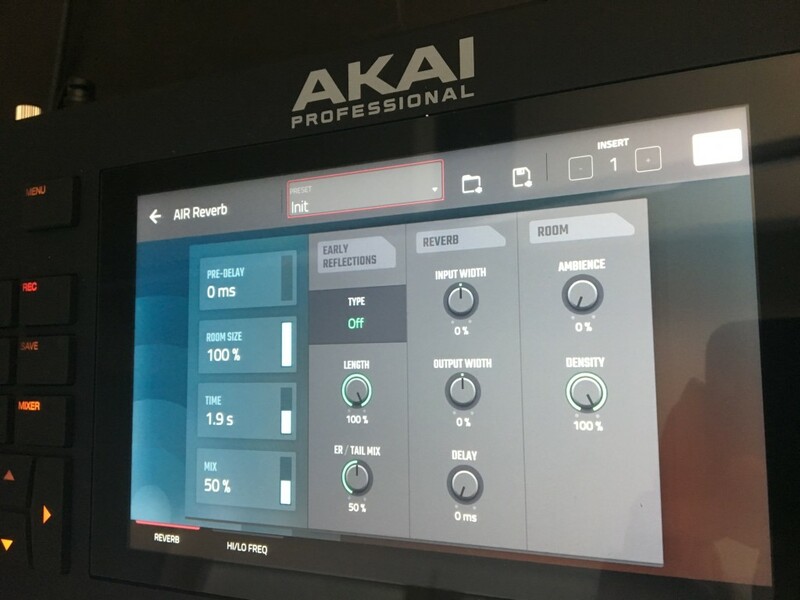 The generative sequence tools are uniquely complete and especially powerful for producing rhythms. You can make this sound crazy and random and IDM-y, but you can also add complexity without heading into deep space – it’s really up to you. 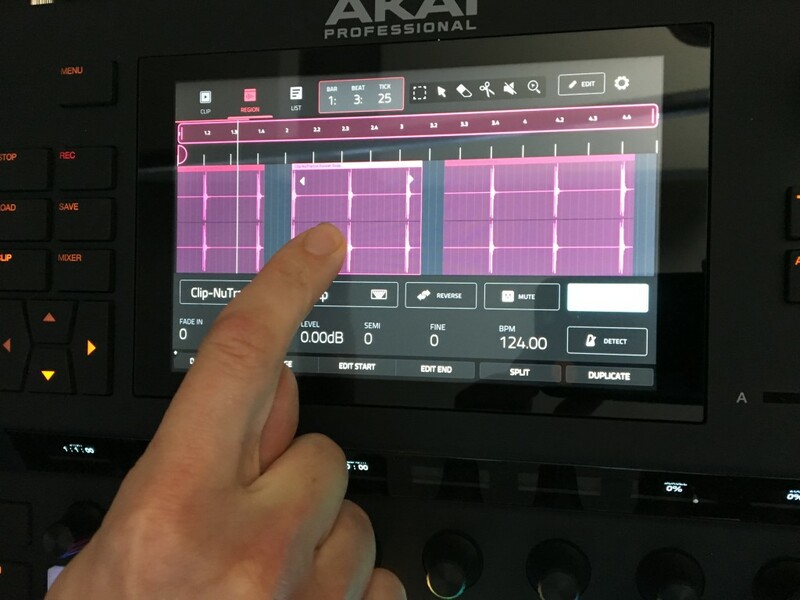 And they’ve cleverly made two screens – one full parameter screen that gets deep and detailed, but a compact device screen that lets you shift everything with single gestures or adjust everything as macros – ideal for live performance or for making bigger changes. It seems like a good wildcard to keep at your disposal … for any of those moments when you’re getting stuck and boring. But you can certainly make things unlike Devine, too, if you want. Right now ESQ is on sale, 40% off through December 31 – €29 instead of 49. So it can be your last buy of 2018. 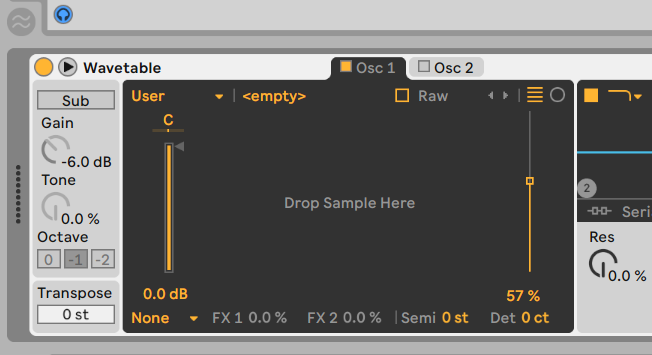 The post More surprise in your sequences, with ESQ for Ableton Live appeared first on CDM Create Digital Music. 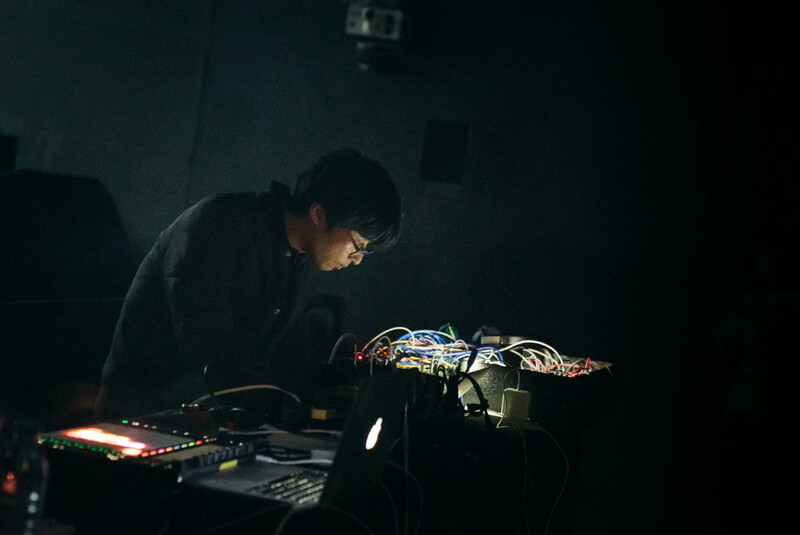 The post Generative music from Shanghai’s AYRTBH: interview, download appeared first on CDM Create Digital Music. 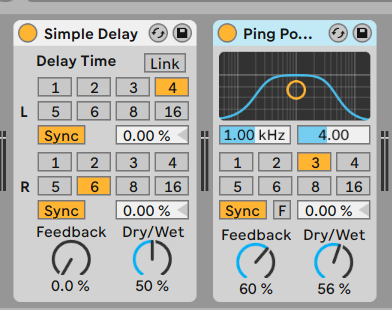 Ableton may have called their event “Loop,” but that doesn’t mean there’s an obvious way to control the software’s looping capability via hardware out of the box. 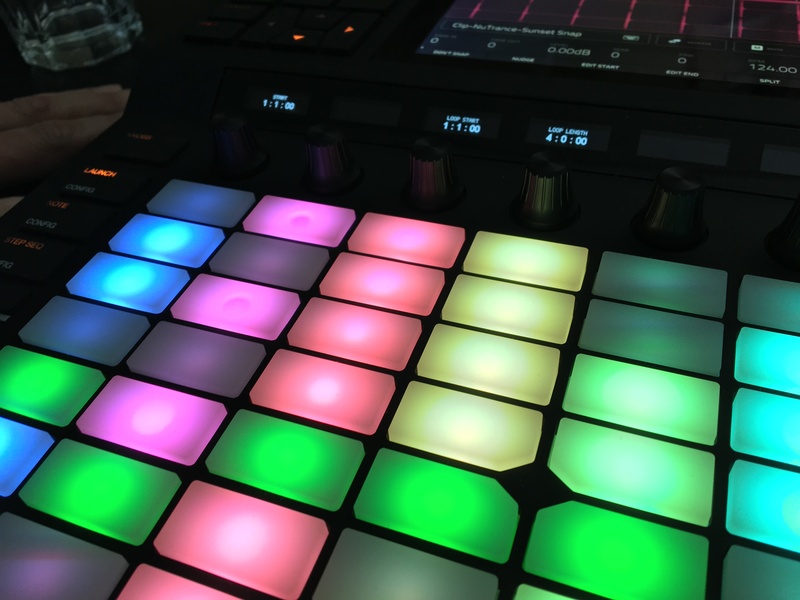 And that’s essential – Ableton Push is great, but it doesn’t fit a lot of instrumental and vocal uses. It’s too complicated, and involves too much hand-eye coordination – stuff you want to focus elsewhere. I’m not sure what Ableton would have called their own foot hardware – Ableton Tap? Ableton Toes? But instead, users have been stepping up … sorry, unintentional pun … and giving Live the kind of immediacy you’d expect of a looper pedal. That project focused mainly on the Looper instrument and the use of scenes, all via Max for Live. It also seems well suited to running a lot of loopers at once. We got hands-on with Datalooper at Ableton Loop this year. Datalooper will use the Looper device if you want. 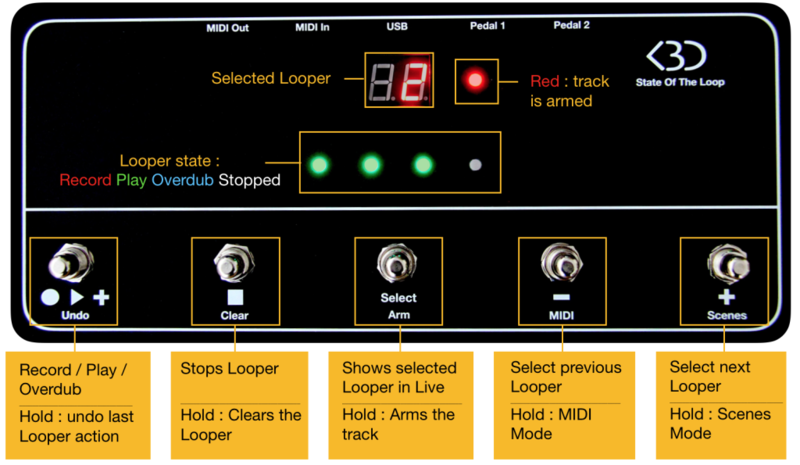 In that mode, it’s basically a controller for the Looper instrument – and supports up to three at once by default (which will be enough for most people anyway). But there’s not much difference between the Looper device and other plug-ins or dedicated looping tools. “Natively” looping in Live still logically involves Session View. Before Ableton had a Looper, the company would advise customers to just record into clips in the Session View. That’s all fine and well, except that users of hardware pedals were accustomed to being able to set a tempo with the length of their initial recording, so the loop kept time with them instead of having to adjust to an arbitrary metronome. If you long press on the clear button, the metronome will turn off, and the tempo will re-calculate based on the next loop you record, so you can fluidly move between pieces without having to listen to a click track. Throughout this process, the transport never stops, meaning you can linearly record your whole set and capture every loop and overdub in pristine quality. Datalooper is also a handy foot-powered control system for working with clips in general. 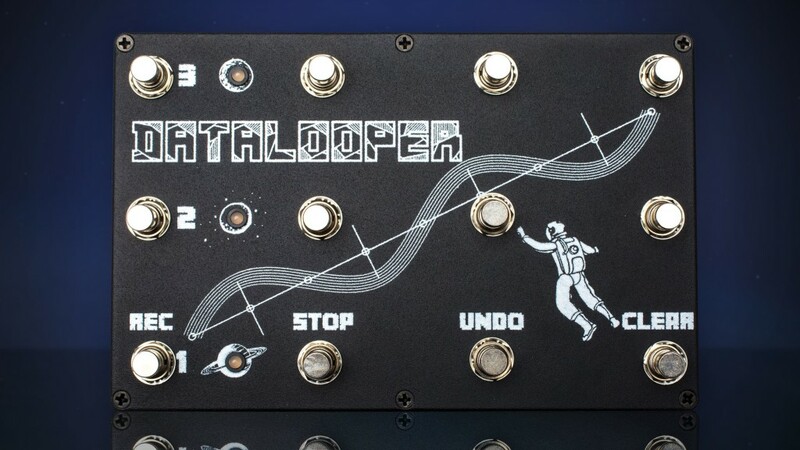 So even if you weren’t necessarily in the market for a looper or looper pedal, you might want Datalooper in your studio just to facilitate working quickly with clips. Session Control mode lets you hop in and record quickly to wherever you wish. I imagine this will be great for improvisation not only solo but when you invite a friend to play with you. For users that are more familiar with the clip system, the Datalooper also features a ‘session control’ mode, built to allow users to quickly record clips. In this mode, the Datalooper script will link up with a track, then ‘auto-scan’ and latch on to the first unused clip slot. You can then use the first the buttons in a row to control the recording, deletion and playback of the clip. Best of all, when you want to record another clip, you can simply press record again and the script will find you another unused clip slot. This is a game-changer if you’re trying to quickly record ideas and want your hands free. 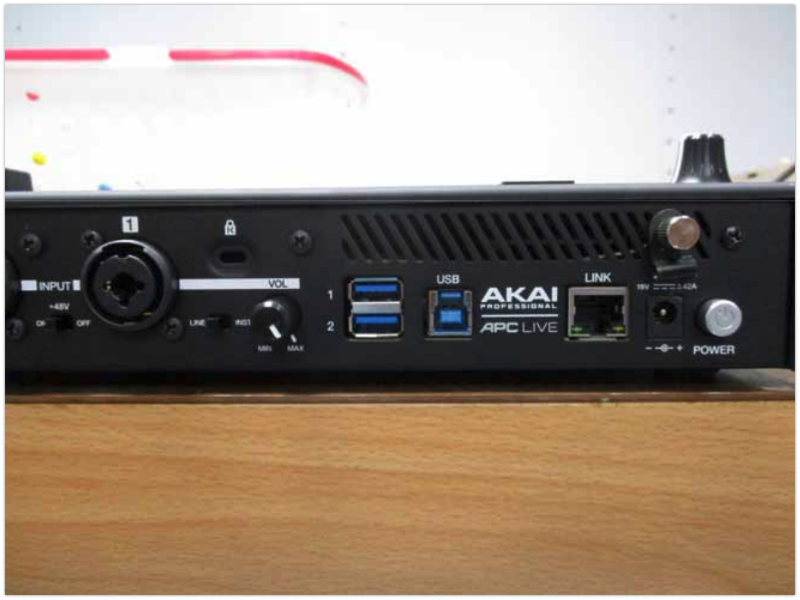 You get all of this in a nice, metal box – die-cast aluminum, weighing 3 lbs (1.4 kg), micro USB bus-powered standard MIDI device. The onboard LEDs light to show you status and feedback from the metronome. By default, it uses three loopers, but all the behaviors are customizable. In fact, when you want to dive into customization, there’s drag-and-drop customization of commands. 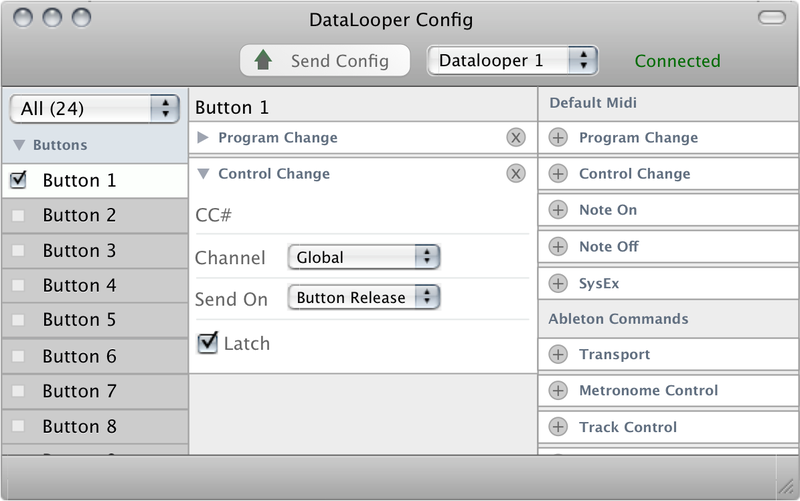 A graphical controller editor lets you customize how the Datalooper works. This could be the future of all custom control. US$199 is the target price, or $179 early bird (while supplies last). It’s now on Indiegogo; creator Vince Cimo needs enough supporters to be able to pull the trigger on a $10k manufacturing run or it wont’ happen. 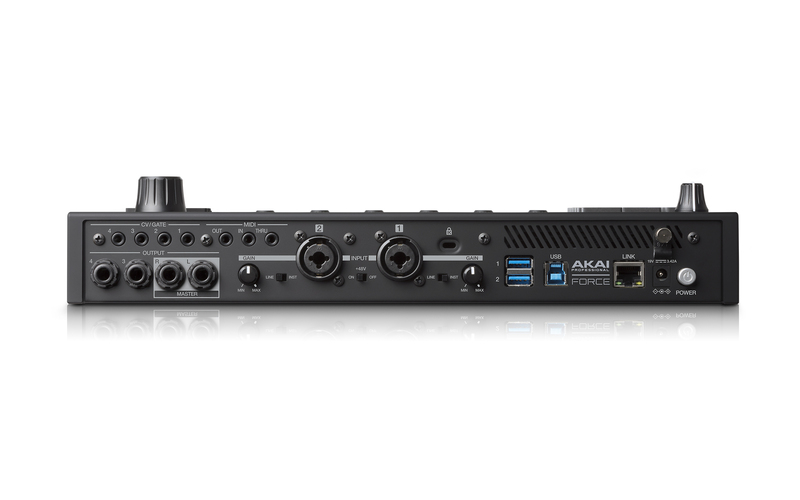 Having gotten hands on with this thing and seen how the integration and configuration works … I want one. I didn’t even know I wanted a pedal. I think it could well make Live use far more improvisatory. And the fact that we have two projects approaching this from different angles I think is great. I hope both find enough support to get manufactured – so if you want to see them, do spread the word to other musicians who might want them. 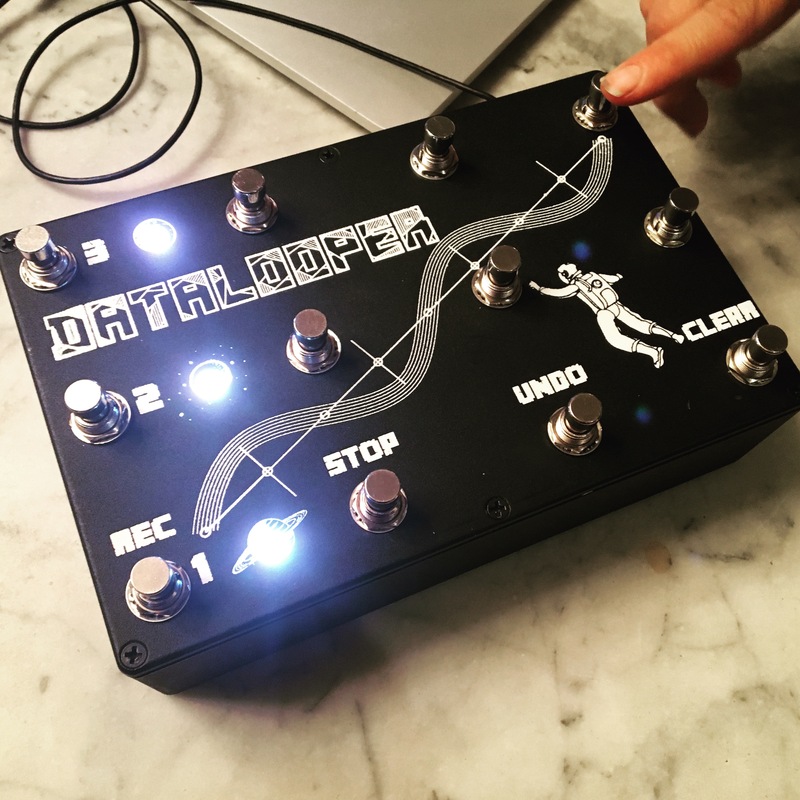 The post Datalooper lets you play Ableton Live with your feet appeared first on CDM Create Digital Music.